inside-out. 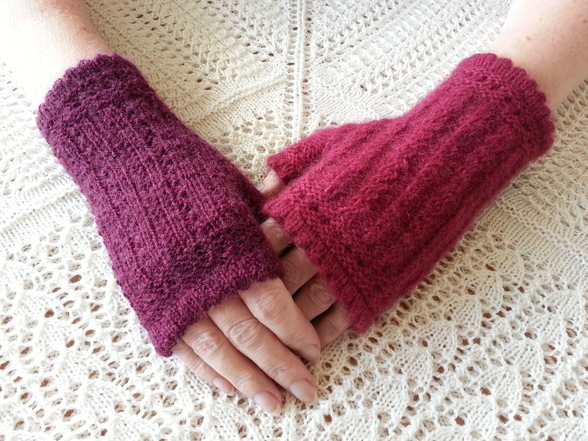 The other one is made with the Touch yarn. Like so many other people I work in an office building with a keyboard all day. And like so many office buildings, the air-conditioning is never just right everywhere so all through Winter I wear my woollies and a thick wool coat all day at my desk. I find I can't type with gloves on but still needed something to keep my hands from getting so cold I couldn't feel the keys. You know the answer - hand warmers. 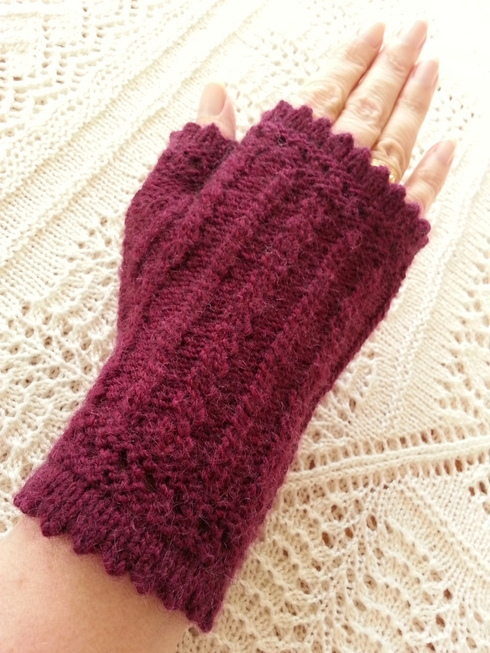 I like Victorian styles so wanted some Muffatees that had that kind of look but I couldn't quite find something I really liked, was comfortable for my thumb and was effectively "ribbed" all the way around so I didn't get that "floppy in the palm" feeling I always seem to get when the palm is worked plain. So there was nothing for it but to make my own. 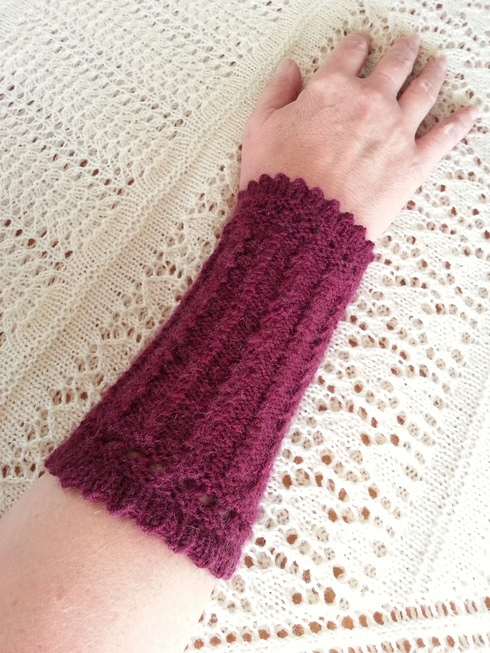 This all started about two years ago and as I made them friends started asking if I was going to publish the pattern because they wanted to make some too. I promised I would and so here it is, finally. 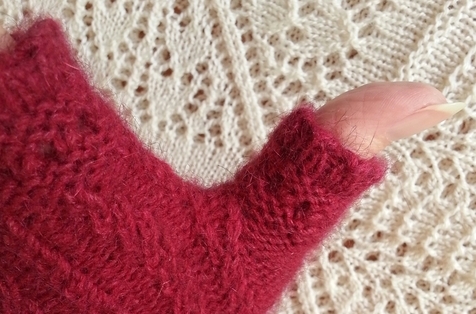 The pattern is a combination of written instructions, charts and a mini-tutorial on how to graft the top of the hand and thumb hems and is suitable for experienced knitters, although I'd never discourage an adventurous knitter from trying anyway - it's only a little bit of wool, after all. 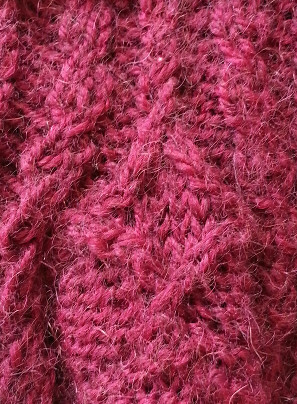 While making myself a prototype of these muffatees I did two charts and painstakingly reversed all the wider cables on one so that when you wear them they mirror each other satisfyingly. This was a bit of a pain, though, because you had to knit a Left and Right muffatee and chart them separately. My husband must have thought I had rocks in my head when he said to me “Why don't you just do the cables one way on the palm and the other on the back of your hand?” Indeed, why not? It is an elegant solution and a very sensible idea. It doesn't matter which hand you put either muffatee on and you knit the second muffatee exactly the same as the first. Wrister alternative - instructions are included in the pattern. And the charts are here.